Blemishes are uneven tone on the skin. They are darker patches on the skin. Now acne scars are also included in blemishes. Face conditions like melasma, hypopigmentation, chickenpox scars, Rosacea and any other condition that gives skin scar now labelled as blemishes. 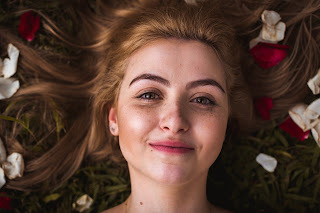 Blemish prone skin has a tendency for pimples. Sun Exposure, dry skin, Pimples, Aging, excessive oil secretion on the skin, hormonal disbalance, Stress and other skin conditions. Tomatoes are a good source for skin healing. It includes vitamin C which protects the skin from damage. Vitamin C is an antioxidant which helps skin to strengthen and protect from damages. You can just half a tomato and apply on your face skin. After applying tomato, massage gently and then wash with fresh water. If you do it daily for a few days then you can easily see the change in your skin health. The high lycopene in tomato helps to reduce stubborn dark spots. Lemon has natural acidity and it's been widely used in lightening skin spots. It also contains vitamin C, antioxidants and useful minerals. Dilute Lemon juice with water, mix 3 tablespoon Lemon juice with 1 Tablespoon water and apply on the face blemishes, leave it for 20 minutes after it washes it with fresh water. You can see a difference in 2 weeks. Apple cider vinegar helps to remove blemishes. It has antiseptic qualities and its PH is the same as our skin's protective acid mantle layer which helps to protect our skin. For applying apple cider vinegar on face blemishes first dilute it. Mix 3 tablespoons to 1 tablespoon of water and dab a cotton ball in it. Apply on face blemishes and leave for 20-30 minutes then wash with fresh water. Cucumber makes your skin fresh and rejuvenate. It has vitamin C and caffeic acid which helps irritated skin to soothe. It fades scares on a skin and works as a lightening agent. Mesh cucumber and apply on face, rub gently and wash face after 20-30 minutes. Vitamins and minerals in cucumber reduce face blemishes fast. Oily fish is good for skin health and helps in reducing face blemishes. It contains anti-inflammatory omega 3 fatty acids which help in reducing acne. Eat oily fish at least twice a week. It's not only good for your skin, but it's also good for your hair and overall health. You can add nuts and eggs in your diet, both have vitamin E that is an antioxidant which protects from damaging of skin cells. Green tea has powerful antioxidants. Daily intake of green tea not only helps in clearing your skin but it also loses your weight. Clinique Anti-Blemish is a good moisturiser for face blemishes. It contains ingredients that help the production of new skin cells so when you start using it daily then it boosts the production of new cells and helps in clearing spots and blemishes. People have been using calamine lotion on face blemishes for a long time. It is famous for its anti-itching properties. 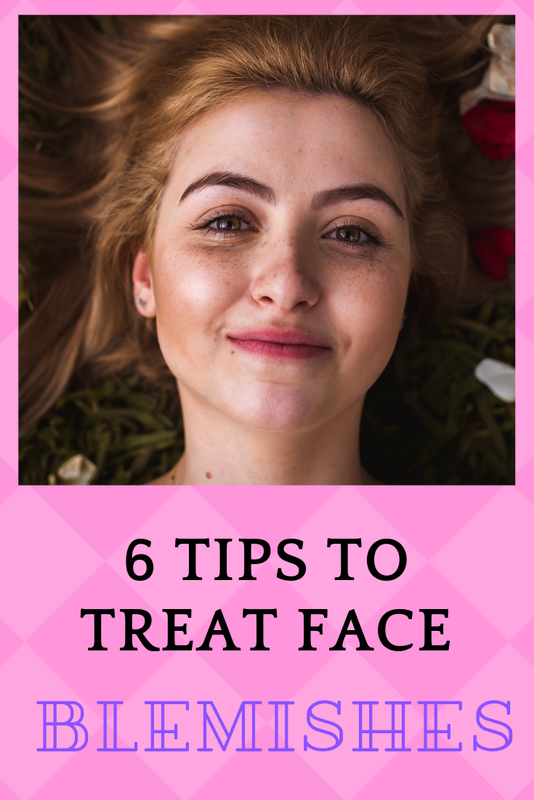 It helps to reduce marks and spots on the face. It works on sunburn, psoriasis and other skin conditions. 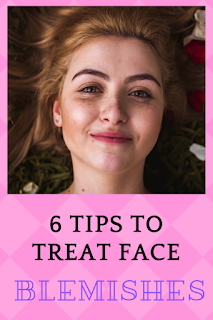 Thanks to share this beautiful tips for makeup, if anyone wants beauty services at doorstep then visit our site www.beautyonthego.in and also call us on +91 9810991603. Wow, Apple Cider Vinegar - I haven't ever thought to use it on my face. I will definitely keep this in mind! I knew that cucumbers were very good for the skin, but never knew that you could use so many other vegetables as well. I agree that a healthy diet has so many benefits on the skin. I like using Apple Cider Vinegar by making my own facial toner. It's great to balance the pH of skin and prevent blemishes. I will try these out. I sometimes get face blemishes, and I hate it. I normally get pimples right on my nose. I will show this to my teen. He has lots of acne on his face and needs help. Oh these are great tips. I had never thought of any of them! That's going to be so helpful! This are great tips! I have a friend that has acne prone skin and I know that this would be helpful. I will share it with her. Thanks for sharing your tips!! Such great tips. I’m going to share this with my girlfriends. Thany! I love diy face treatments. These are so much better than the one bought from the store! I heard of all of the home remedies except tomato on face. Never heard of that one, interesting! ACV is just amazing! I use ACV as a toner and I love how it also gets rid of pigmentation leaving me with an even skin tone. I have always known about cucumber for skincare but I never realised that you can apply tomatoes, apple cider as well as lemon. This is great info. With three girls (one a teenager), it's something that I'm trying to teach them about. 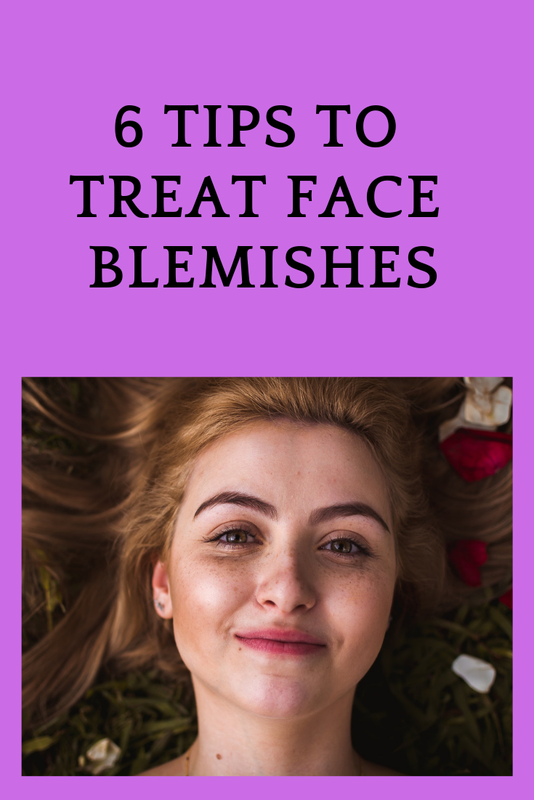 I am in my 40's and I find it super annoying that I have to deal with blemishes at my age! These are new ideas to me, home remedies are always the best, they are simple, affordable and with few side effects. These are some great tips. I am sharing this blog with few friends they need it. Hope this will help them out. I agree with using and eating tomatoes. These are rich in lycopene that is amazing to our body and skin! Great tips! I need to try some of these one day - my face is so dry from the winter. I've tried them all, but these remedies are new to me. I'll try them and see which one I'm better with! These ideas are really good and I am definitely going to try the one with the chickpea flour. I have a condition that causes me to be tired and lose sleep quite often. It's no fun but, I've learned to work around it. I wish I had read this before! I just spend $200 on a regiment to cure this when I could've just tried these! I'm still trying the tomato one since the regimen is not here yet.